American Border Foundation hasn't added a story. Historically, policing borders has been integral to the preservation of nations around the globe for centuries. 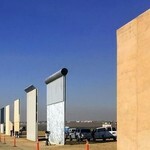 The construction of a barrier to safeguard American citizens from illegal activities , such as the influx of gangs, criminals and drugs, is in the best interest of the nation. The benefits of a border barrier include overall homeland security, the cost of lost tax revenue and the strain on local and federal government resources plus critical border enforcement. This is an opportunity for citizens to let BOTH political parties understand building the WALL is an important issue and needs to be done! All proceeds will be exclusively for the purpose of building the WALL. I urge you to please contribute even just a dollar or five dollars. To show the politicians that citizens want the WALL, it is better for 25 Million to contribute just 1 dollar or 5 dollars to this campaign than for a few hundred to donate thousands. SPREAD THE WORD! Let both parties know that border security is a critical issue for them to finally take concrete action. Thanks to all who express interest in this project and especially to those who contribute! I have decided to continue my work on this effort by accepting a position as a member of the Board of Directors of American Border Foundation. I found ABF in my quest to identify the proper and best method to get the funds to Department of Homeland Security, and I have made arrangements to transfer the donated funds to their care. American Border Foundation is a 501(c)(3) nonprofit that was incorporated in August of 2017 to help America to get and keep our borders secure, in partnership with DHS, civilian organizations, and sheriffs around the country. Their first project is exactly this: crowdsourcing the funds for DHS to use in building a border wall. Contributions are tax-deductible and they’re preparing the first delivery event to occur on or about October 29/30. Prior to us meeting they’d already received over $100,000 in contributions! Their website is https://www.fundthewall.com, you can find them on FaceBook at https://www.facebook.com/fundthewall, or on Twitter at https://www.twitter.com/fundthatwall. You are all encouraged to follow along as this event of the initial delivery to DHS comes to pass. ALL donors who contribute money to this campaign will receive a receipt from ABF for your tax-deductible donation. Their website includes more information about the organization and a ticker that shows how much has been contributed so far. I will be attending the delivery event for the first round of funds in Washington, DC. This gives me a chance to have firsthand impact on making sure the funds reach DHS, and that DHS uses this money and any future disbursements for the intended purpose. Thanks again to everyone who donates. I look forward to continuing to work with you as part of American Border Foundation and doing my part to help DHS, America’s Sheriffs, and civilian organizations all along the border make America secure again! American Border Foundation hasn't posted any updates yet. American Border Foundation is managing the funds for this campaign.